Perhaps you have heard that we are created in the image of God but that His image in us has become obscured or darkened by sin. What you may not realize is that Christ IS the image of God in us and, at the same time, He is the image of God in which we – and, indeed, all things – are said to have been created. To recognize this image within ourselves – to know it again – is to inherit eternal life which is the birthright of those who are said to have been chosen in Christ before the foundation of the world (Ephesians 1:4). In the Gospel of John, Jesus says, “I Am the Way, the Truth, and the Life” (John 14:6) and proclaims that “before Abraham was, I Am” (John 8:58). Another of his names is “Emmanuel”, which means “God with us” (Mathew 1:23), and he is also said to be the Word of God that was (or IS in some sense prior to creation) in the beginning with God; the light that lights everyone who comes into the world (John 1:2, 9). Moreover, the Word is compared to a kind of Divine, incorruptible seed that is sown among us and which – given the proper attention — brings forth much fruit (Mark 4:20, Luke 8:8). It is also compared to the water of life of which it is said that whosoever will may come and drink freely and never thirst again (Revelation 22:17; John 4:14; cf. John 7:37-38). In the book of Hebrews, as well, the Word of God is associated with Jesus who is said to be the Image of God (1:1-3); and, in Colossians, the image of God is also described in terms of the rich and glorious mystery which is Christ-in-you (1:15, 27). Moreover— as indicated above —the faithful are said to have been chosen in Him before the foundation of the world (Ephesians 1:4) and we are told that all things are created in Him, through Him, and for Him (Colossians 1:15-16). At the same time, it is proclaimed that if we abide in Him as He abides in us (John 15:4) he will be formed in us (Galatians 4:19) in such a way that we, too, will be the light of the world (Matthew 5:14-16; cf. John 8:12); that we will bear much fruit (John 15:5); and that we will be found in Him (Philippians 3:9) holy and without blame . . . in love (Ephesians 1:5). This is all very beautiful, to say the least — and it is good news, too – if, indeed, it happens to be true. But how can we really know it? Where is Jesus really to be found? And what does it mean to trust in Him — especially for sincere skeptics and honest critics for whom scripture holds no a priori authority? Have not many sought him with tears in their eyes and seemed to come up empty handed!? And are there not many others who are counted among the faithful – many of those who say, Lord, Lord, perhaps – but who have never really experienced the joy of their salvation!? How is it possible that the Way, the Truth, and the Life can fail to satisfy? How can the water of life fail to quench our thirst? Is it not written, seek and ye shall find; knock and it shall be opened unto you? (Matthew 7:7). If this is true and yet we are not satisfied – if we remain thirsty – it must be that we have looked for Him in the wrong place or put our trust in the wrong thing! On the other hand, if we do, indeed, know Him, why are we unable to introduce Him to others more effectively? Why do we find ourselves (so often) at a loss in the face of sincere skepticism and honest criticism!? And why does our rhetoric so often fail to encourage those who find themselves in perpetual survival mode–struggling through life in vain (or so it seems), merely surviving from one crisis to the next!? The first group has rejected such beliefs for reasons which – as far as they go – may be logically coherent, empirically astute, and morally defensible. In the process of rejecting such beliefs, however, these people have inadvertently thrown the baby out with the bathwater. The second group has accepted the beliefs – embraced the bathwater, so to speak – for whatever reasons, but have totally overlooked the baby which is concealed therein! Perhaps you belong to one of these groups. Or perhaps you have inadvertently enabled one or even both of them by participating in common modes of religious discourse that promote a less than authentic understanding of faith – a plan of salvation, as it were, which rests on mere concepts instead of the living Christ. Either way, it is time to get real – it is time to focus on the living Reality! And in the chapters that follow, we will do just that. You will be introduced (or reintroduced) to the Way, the Truth, and the Life – to the baby Jesus in the bathwater, so to speak – to the Reality that IS Christ-in-you, the hope of glory! 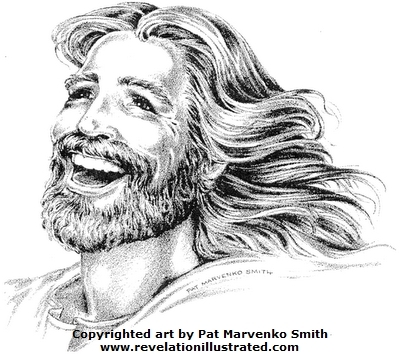 In the process, you will have opportunity to discover – or rediscover – the joy of your salvation! It is also possible that pastors and intelligent lay people who read this will discover new ways of communicating their faith to people outside (or on the margins) of their particular faith tradition. I’m so glad to see the emphasis here put on our true and original pristine nature – I AM; Christ IN us! – rather than on sin. So much Christian doctrine focuses on pollution rather than on purity. An analog: water is H20. Water plus anything else is no longer water. (A solution which is pure is said to be ‘full strength.’) But mingled water can still be recovered, even from swill, with some persistence and understanding of nature. Noticing the introductory quote in the second italic paragraph, where Jesus is termed ‘firstborn of all creation’ (cf. ‘firstborn among many brethren’ in Romans 8:29, kjv) helps in this recovery, as it hints that Jesus is our model elder brother. Yet we are often quick to assert ‘I couldn’t be like Jesus’ – however, the Father begs to differ, knowing our nature, and having faith in His design. Yes, He has faith in us! His faith, His love, never fails. Just as a mirror neither struggles nor exerts to fulfill it’s design, we need never struggle to be a son or daughter of the I AM, God. Indeed, we can never renounce our true nature. But first we must decide to participate by prioritizing desire, asking “Do I really want to be a child of God?” Or, we could continue to assert the alternative, “I would rather just ‘do my own thing.’ ” (How’s that been going thus far?) While it would seem that we have an infinite number of choices in life, there really are only two: serve self, or serve God. We could call this twoness dualism. But there really is only one nature, one reality. Desire run amok, like a nightmare, can be very vexing; but desire, properly harnessed, awakens us to the real. Such desire is a silent prayer of listening to the mind of Christ. “Love your enemies and pray for those who persecute you, so that you may be children of your Father in heaven; for he makes his sun rise on the evil and on the good, and sends rain on the righteous and on the unrighteous. For if you love those who love you, what reward do you have? Do not even the tax collectors do the same? And if you greet only your brothers and sisters, what more are you doing than others? Do not even the Gentiles do the same? Be perfect, therefore, as your heavenly Father is perfect” (Matthew 5:43-48). There is an “original sin” of sorts, but thankfully, that does not reflect on our true origin and nature! How the problems of life can diminish and go. Changing scenes for our permanent state. It’s there from our birth, and it’s what a man is. “But for you who revere my name the sun of righteousness shall rise, with healing in its wings” (Malachi 4:2).